No longer is an en suite thought the height of luxury when staying in a hotel as most of us enjoy them in our own homes. Now when we book a suite for a special occasion to feel truly spoilt we want the bath in the actual room! 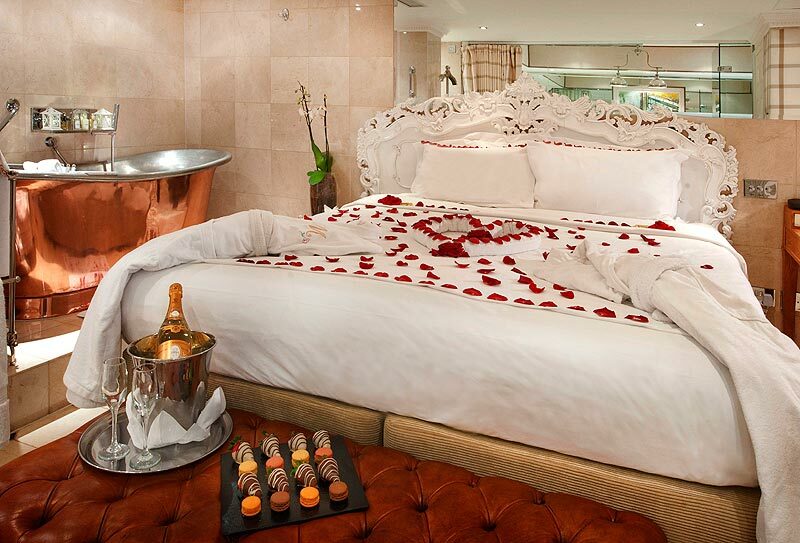 We’ve had a search and brought you five incredibly luxurious suites with the ultimate in luxury – the in-room tub! Do comment below and let us know of any others you have found – or indeed if you have been lucky enough to stay in any of these! This fabulous room not only boasts a bath but also a very impressive view from said bath! 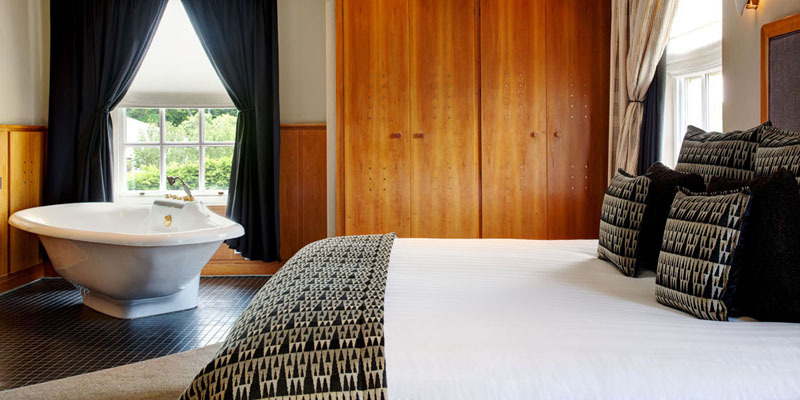 Located on the ‘cool side’ of Ipswich’s waterfront, The Salthouse Harbour Hotel is filled with quirky art and designed with extravagance in mind. With a heated floor and panoramic view of the marina this is indulgence that would be hard to leave! For more details go to www.salthouseharbour.co.uk. Junior Suites at Seaham Hall provide spacious open plan living and are ideal for an indulgent night away. Step into your entrance hallway and through into a wonderful room with king size bed and comfortable lounge seating. Georgian windows frame the suite offering views to the coast or the extensive gardens. Oh and suite 7 has a bath placed just in front of this wonderful view! For further details go to www.seaham-hall.co.uk. Member dining is available at this hotel. Click here for details. A member of the achingly cool Soho House Group, Dean Street Townhouse is located in the heart of Soho and was reportedly once home to King Charles II’s Mistress, Nell Gywnne. 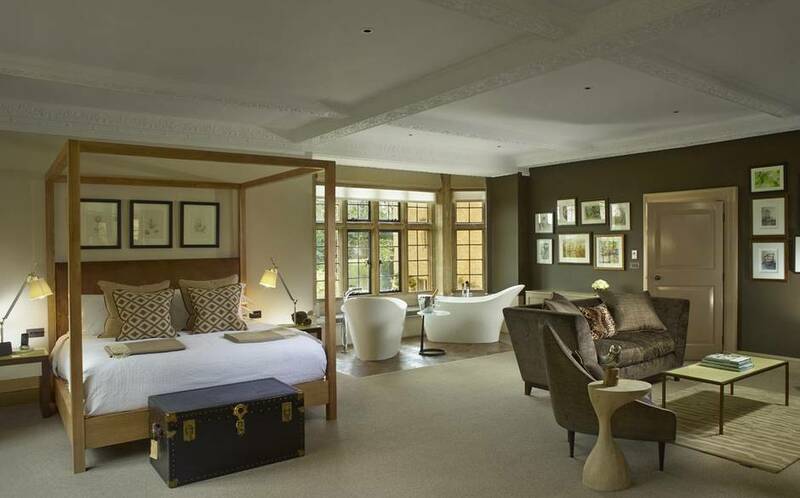 The rooms are luxurious and quintessentially English in design and excitingly they have several with baths in the room! For further information please go to http://www.deanstreettownhouse.com/hotel/bigger. Design Restaurants is the home of luxury dining. For the greatest selection of the best restaurants in the UK and for fantastic savings and benefits through our Club go to www.designrestaurants.com.